DCT Vacations Pvt Ltd is your trusted travel partner for all requirements. 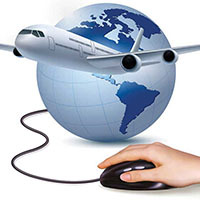 You should join hands with us for the best of airline ticketing services. To avoid the hassle of ticketing, contact us and let us book tickets for you. We offer people the best ticketing deals and thus book tickets for their journeys. To make your ticketing convenient, we are here to help you always. We offer excellent ticketing services and thus facilitate sorted ticket booking. If you wish to know more about our services or to book your tickets with us, give us a call. As a travel and tour services facilitator, we have our base in the city of Ghaziabad, Uttar Pradesh (India). So, for all your urgent ticket requirements, simply get in touch with us.